This article is a detailed rationale behind the smallcase Transporting India. This smallcase is an intelligently weighted portfolio of stocks belonging to the logistics sector. It is estimated that India spends around 13% of its GDP on logistics. This expenditure is second only to China’s spending and is substantially higher than the average 7-8% spent by developed countries. China is primarily a manufacturing economy and thus higher logistic expenditure is justifiable. However, manufacturing contributes only 15% to GDP of India. Hence, in India’s case the industry is inefficient and there is a huge scope for innovation and technology adoption. India is growing the fastest amongst major world economies. It’s growth rate has already surpassed China’s, and the country is expected to maintain GDP growth rate of more than 7% in the near future. 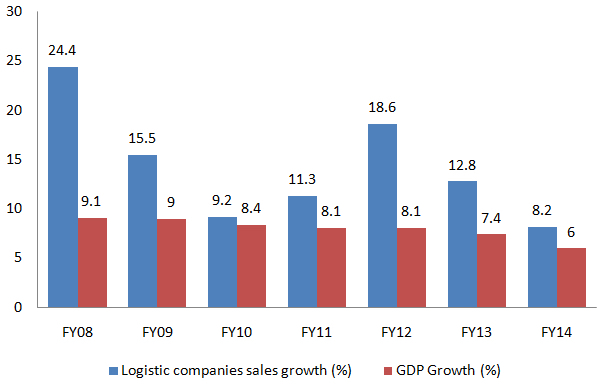 Empirical evidence indicates that logistics sector grows at around 1.5 times the GDP growth rate. Thus, with increased economic activity, the sector is expected to grow at a rate of more than 15% in coming years. Indian Railways subsidizes passenger travel cost by charging higher freight rates, hence freight movement through rail is expensive in the country. Because of this 60% of all freight in India is transported through road, one of the most inefficient modes of transport. In stark contrast railways is the preferred mode of transport in developed economies. Further over the years, railways has been investing very little towards capacity enhancement and efficiency improvement. Off late Government has been investing huge amounts of money towards addressing these problems by developing dedicated rail freight corridors. This initiative will significantly reduce freight movement time and increase the load capacity of trains. Apart from this, Government is improving quality of highways, building air-freight stations, developing free trade warehousing zones and building new ports to provide all the necessary support. Different states in India had dissimilar tax rates and disparate types of taxes for different goods. These taxes could be offset against each other, thereby increasing tax incidence. In addition, inter-state check points, set up to tax goods, caused huge delays in haulage and resulted in higher transportation and labor costs. In order to deal with these issues, manufacturers maintained multiple warehouses across different states. This contributed to in-efficiency in the form of increased labor and additional infrastructure costs. But now that GST is implemented, the whole country has one single tax market and decisions are governed by efficiency aspects and not taxation issues. 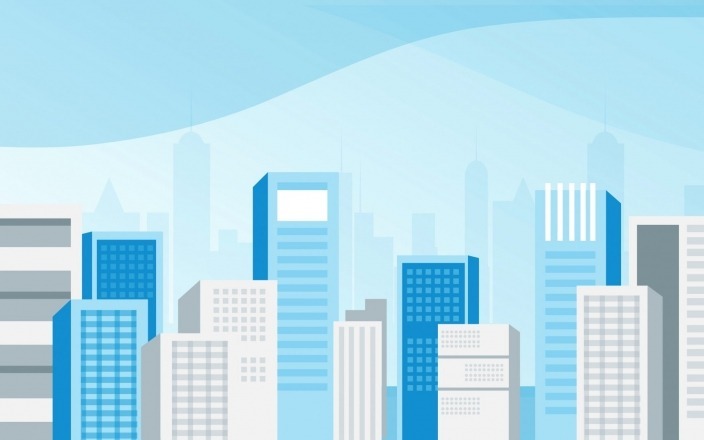 Logistics is a critical aspect of e-commerce businesses . Currently, the e-commerce sector spends around 10% of merchandise costs on logistics. Increased internet and mobile penetration, growing acceptability of on-line payments and favorable demographics are driving e-commerce businesses, which is growing at a rate of more than 50% every year. Logistics is expected to grow hand in hand with the e-commerce industry. With an aim to improve infrastructure facilities, the government has been focusing on transportation sector. Budget for 2017-18 has increased capital expenditure allocation for the sector by 23.5% to Rs.1,11,481.7 crore. Airport up gradation, integrated railway transport solution, improved port connectivity, development of logistics parks and last but not the least, accelerated pace of road construction will be the focal point for the next year. In Budget 2018, the Ministry of Civil Aviation, Ministry of Railways, Ministry of Road Transport and Highways and Ministry of Shipping have been collectively allocated Rs 2.76 lakh crore, which is 46.3% of the total infrastructure outlay. These factors combined are expected to provide fillip to the sector.